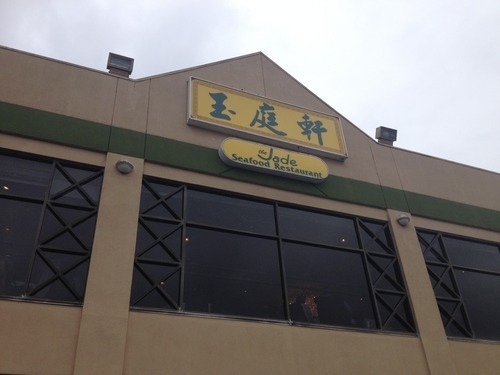 Located on Alexander Rd, Jade Seafood Restaurant is always packed with people. They essentially have their own parkade, which is a big lot, but the place is still impossible to find spots. If you place an order before 11 a.m., you can also get a discount for your dim sum. I believe it was 20% off. 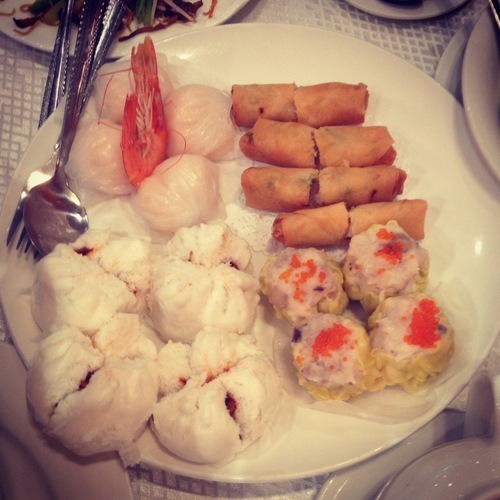 Instead of ordering the typical dim sum, we chose to get a dim sum set lunch that would feed 4 diners. It was only $39.99 so it was extremely affordable and filling. 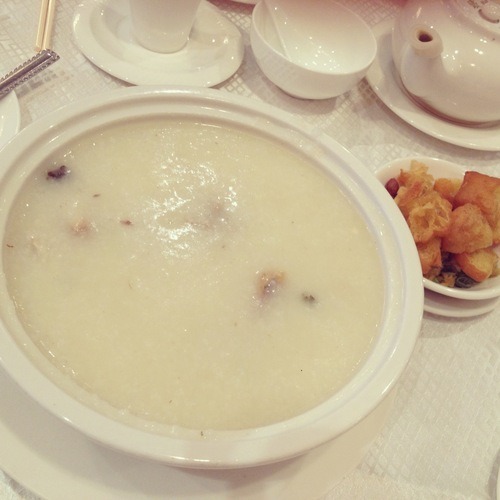 First, we had the Salted Chicken Congee which came with salted Chinese donuts and salted peanuts on the side. The congee was flavourful because there were pieces of salted chicken in it. However, I disliked how the chicken still had bones, so it was a little difficult to eat. The second dish was Vegetables in Fish Soup. 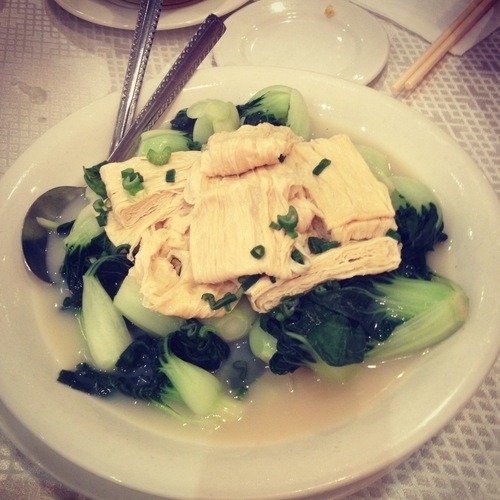 It was topped with bean curd. The vegetables dipped in the fish soup made it tasty and healthy. 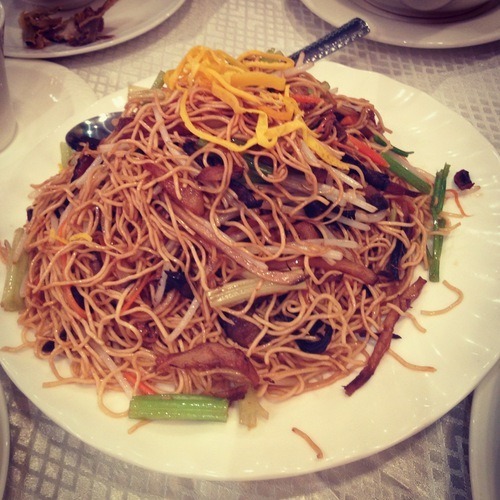 The third dish was Chicken and Vegetable Chow Mein. I found that the noodles were way too oily but lacked flavour. This was just alright. Since we had 5 people eating, we decided to add some extra dishes although we were comfortably full already. 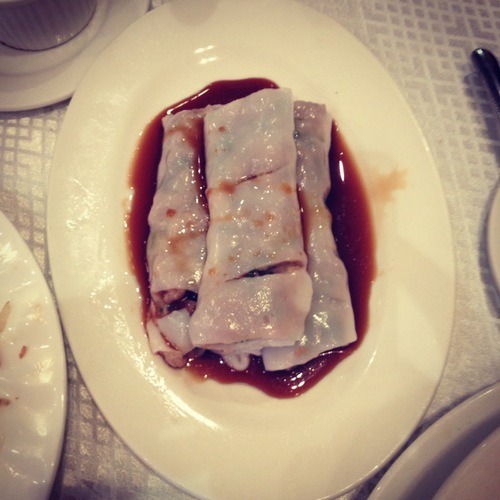 I didn’t try the Beef with Chinese Parsley Rice Roll, but I was told it was quite smooth. 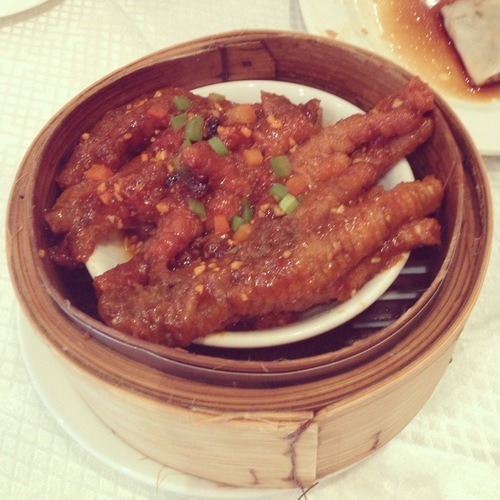 Lastly, we also got the Steamed Phoenix Claws, which is one of my favourite items for dim sum. This one was marinated nicely with a little heat. 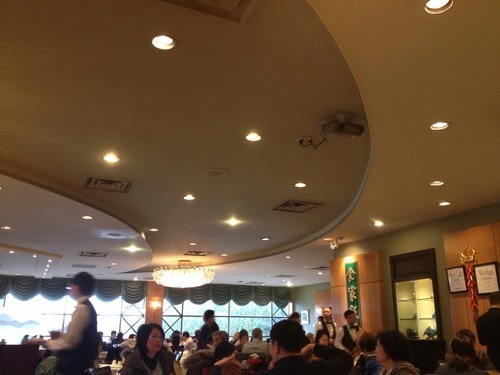 Overall, Jade Seafood Restaurant has decent dim sum food. It’s not a place to expect spectacular food, but it isn’t bad. Service was also a hit and miss. Our first server was extremely efficient, but when we asked another server, it took us around 10 tries to get his attention. He stared at our direction, but I’m not sure where his eyes were looking because he either just zoned out or had terrible observation skills. Service is BAD but price is high.